2017 Honda Ridgeline: How Has It Changed? 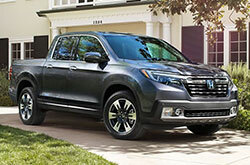 Returning after three years off the market, the Ridgeline is all-new and boasts many class-leading attributes, including segment-best cabin space, cabin quietness, and mpg and safety ratings. Compared to the 2014 Honda Ridgeline, the second-gen version of the truck is longer, wider, more powerful and more fuel-efficient. It also has a brand-new look and is underpinned by Honda's latest Global Light Truck platform. In one of Forbes.com's 2017 Honda Ridgeline reviews, the pickup is lauded for its surprisingly good ride quality, roomy cabin and unique features, which are compared to that of an SUV. The 2017 Honda Ridgeline in Phoenix is offered in seven grades, including the RT, RTS, Sport, RTL, RTL-T, RTL-E and Black Edition. 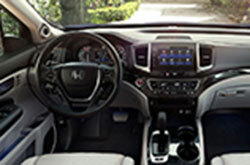 Notable standard features on the Ridgeline RT include a multi-angle rearview camera, rear window defroster, 4.2-inch color LCD screen and push-button start. Above the base trim, select models are offered with features like keyless entry, remote start, Honda Satellite-Linked Navigation, and an 8-inch Display Audio System with Android Auto and Apple CarPlay. 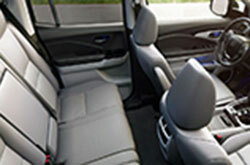 A class-exclusive under-seat storage area is also included in the design and it's perfect for when you want to hide away long items like golf clubs. In addition, the truck's bed offers several highlights, including a dual-action tailgate, built-in audio system and in-bed trunk. How Good Is the Honda Ridgeline's MPG & Ride? Any 2017 Honda Ridgeline review you read will likely praise the truck's surprisingly refined ride quality, which you can test out for yourself at Showcase Honda. With a super strong and firm unitized body, as well as fully independent front and rear suspensions with Amplitude Reactive Dampers, Ridgeline provides superior ride comfort and handling. Under the hood, it's outfitted with a 280-hp, 3.5-liter direct-injected i-VTEC V6 engine that comes paired to a six-speed automatic transmission. Front- and all-wheel drive is available. Off-road fun and on-road refinement aren't the only highlights. Scoring a Top Safety Pick+ rating* from the Insurance Institute for Highway Safety, the 2017 Honda Ridgeline in Phoenix is an excellent choice if you're looking for a truck that boasts excellent crash test scores. Along with its rigid construction and variety of standard safety features, including airbags, stability and traction control, Brake Assist and Hill Start Assist, the Honda Ridgeline offers a multitude of innovative safety technologies. Most notably, the optional Honda Sensing package (standard on RTL-E and Black Edition) comes with Forward Collision Warning, Collision Mitigation Braking, Road Departure Mitigation, Adaptive Cruise Control and other smart systems. 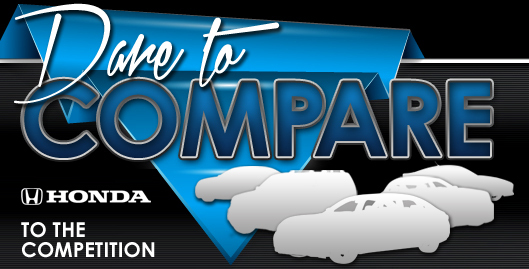 If you're not sure the 2017 Toyota Tacoma, Ford F 150, GMC Canyon and the Chevrolet Colorado are suitable for you, then view a 2017 Honda Ridgeline near Phoenix. Its in-car technologies and rakish looks might just seal the deal if you're looking at a handful of cars. Use our review to see if the 2017 Honda Ridgeline is perfect for your particular needs. 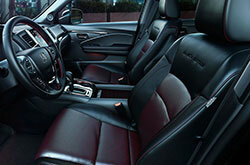 Also take a peep at current finance offers available at Showcase Honda! 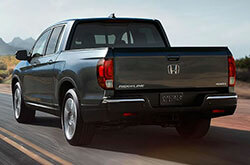 We're a local Honda Ridgeline dealer with up-to-the-minute incentives on new and Carfax 1-Owner vehicles. To make an educated purchase, it's paramount to look at 2017 Honda Ridgeline reviews; we endeavor to help with this by providing the details you right on our site. 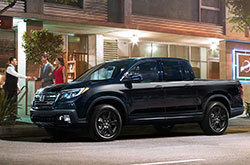 Our assortment of incredible Honda Ridgeline models at Showcase Honda is gigantic. Schedule a test drive and come peruse our lineup. Can't wait to see it at our store? Check out our video to take a peek at it right now!